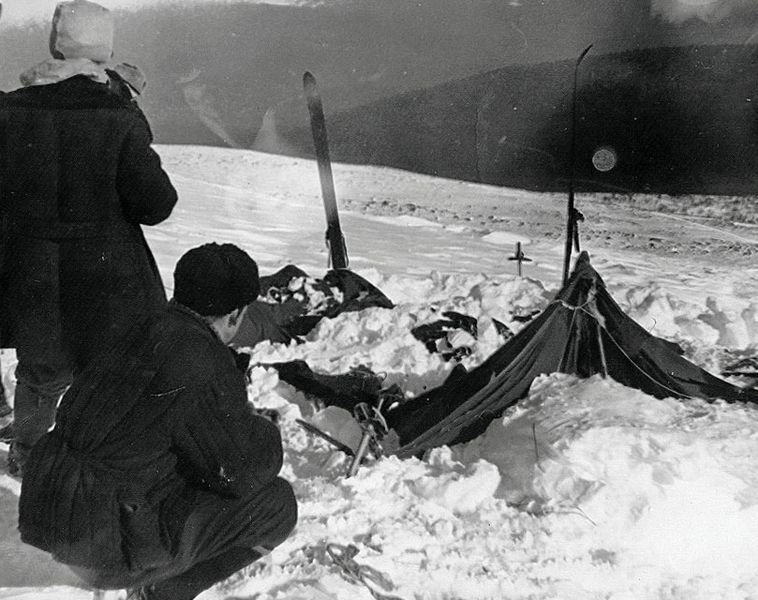 The Dyatlov Pass Incident – Just What Did Happen On Dead Mountain? On the evening of 2nd February 1959, in the already freezing conditions of the Ural Mountains in what is now north-western Russia, one of the most bone-chilling events in recent history unfolded, events that for the most part we still do not know exactly what happened, other than nine people were dead. On 27th January a team of ten experienced “ski hikers” set out on an expedition from Vizhai, the last inhabited settlement so far north in the country, close to Ivdel, with the goal of reaching Otorten, a mountain approximately six miles away. A full list of those who made the journey can be found at the bottom of this article. One of the team, Yuri Yudin, turned back less than twenty-four hours into their journey due to illness. The other nine continued. The illness may have been the best thing that ever happened to Yudin, certainly the most fortunate. From the diaries and cameras that were found with their belongings when their bodies were discovered, their movements can be put together right up until the 1st February. By 31st January they had reached a highland area that would require them to climb higher to go through the pass to reach the other side. It seems they cached some of their food and other provisions that they would need for the return journey in some woodland near the highland area. Then on 1st February they proceeded to go through the pass. Whether the team were aware of this or not, they did soon become aware of their navigation mistake. By this time and with the weather worsening they decided to make camp right where they were and make the journey back to where they should have been the next morning. That is where what we know, stops. Conditions on the hike quickly worsened although the team was very experienced. The group leader, Igor Dyatlov, had agreed before he and his team left, that when they returned to Vizhai, he would arrange for a telegram to be sent announcing their safe return. The expected date for this to arrive had been estimated to be 12th Febraury. When the date came and no telegram arrived there was concern but no immediate reaction as Dyatlov was said to have told Yudin (the hiker who had to returned due to illness) that he now expected the journey to be longer. By 20th February there had still been no word received and at the insistence of concerned family members, the head of the institute that the missing team belonged to, arranged a search party of sorts. This initial search party was made up of volunteers – students and teachers and such. The army was soon involved in the search however, using helicopters and airplanes to scout the vast, white terrain. On 26th February they made the first of many grim and chilling finds, when they discovered what was confirmed to be the hikers abandoned and badly damaged tent. What was bizarre about the find was that the hikers belongings, including their clothes and shoes were still inside the tent, as if they had literally just fled at a seconds notice. But perhaps the most frightening aspect of the discovery was that the tent appeared to have been damaged and cut open, from the inside. It seemed it was not that something was trying to get in. They had been desperate to get out. So desperate it seemed that they didn’t have time to dress or even take they their clothes or shoes in what would have been extreme cold conditions. There were even clear footprints that showed some of the hikers left with one shoe on and one bare foot – all of the footprints headed towards wooded area on the other side of the pass, around a mile to the east of the campsite. However the tracks themselves stopped abruptly after approximately five hundred meters. However there were no bodies – just snow! The tent as it was found on 26th February 1959. Footprints found near the destroyed tent. The first two bodies were found near the edge of the forest under a large cedar tree, along with what looked to be the remains of a fire. They were those of Krivonischenko and Doroshenko. Neither of them had shoes on and both were dressed only in their underwear. It was noted that the branches of the trees nearby were broken up to 5 meters high. It was suggested that the hikers had climbed the trees looking for help which had ultimately resulted in the branches breaking. Others however, years later, theorised that there was another reason. At three separate distances ranging from 300 to 650 meters from the “camp” the bodies of Dyatlov, Kolmogorova and Slobodin were found. The “poses” they were found in suggested that they were in the process of heading back to their makeshift camp when they seemed to have frozen in the positions they died in. It took over two months for the remains of the four remaining hikers to be discovered. They were found on 4th May in a ravine under four meters of snow, around 75 meters away from the cedar camp where their fellow hikers were discovered. Unlike the other hikers, these last four seemed to be better dressed, in fact most were fully clothed. There was also evidence that those who had been found first, two months earlier, may have in fact perished first and the surviving hikers then took their clothes for their own use. For example Zolotaryov was wearing Dubinina's (fake) fur coat and hat, while Dubinina's foot was said to be wrapped in a piece of Krivonishenko's woolen pants. Inquests were opened into all nine of the hikers, with the findings of the first five bodies stating that they likely died of hypothermia. However when investigations were opened into the final four hikers that were discovered in May, the four who were better clothed, the results were drastically different and more frightening. The grim remains of one of the nine tragic hikers. All had internal injuries with some being more akin to someone who had been hit by a high speed truck. Between them they had major skull damage and major chest fractures. Dubinina had some major and quite bizarre external injuries however. She was missing her tongue, her eyes, part of her lips, as well as what looked to have been specifically carved out facial tissue and a fragment of skullbone. She was also said to have had extensive skin maceration on the hands. It was said that she was found lying face down in the ravine and the “injuries” were likely the putrefaction process. However combined with the strange but serious internal injuries they had, not everyone was subscribing to that theory. Some began to speculate that the local Mansi tribes may have attacked and killed the hikers for “stepping on to their land.” However the injuries that they had did not indicate there was any attack and besides the footprints that initially led out of the tent there was no evidence that anyone or anything had been anywhere near the hikers. A more mainstream theory was that an avalanche may have been responsible for the hiker’s deaths. It was claimed that the avalanche could have buried the tent forcing the hikers to cut their way out and then flee to safer ground. If they had become buried under huge amounts of snow or indeed fell to their deaths while roaming around in what would have been surroundings of white upon white, this could have explained their internal injuries. However detractors from this theory state that the magnitude of the internal injuries were too great to have been caused by any amount of snow or from a fall. Nor was that particular part of the mountains prone to avalanches. Further still there was no evidence to suggest that an avalanche had even occurred. Some of the horrifying remains of the tragic victims of the Dyaltov Pass Incident. Another theory, was that the military used to experiment with weapons in this area, one of which was claimed to be parachute mines that detonate up to two meters before they hit the ground. The resulting injuries are very similar to the internal injuries that some of the hikers had seemingly sustained. Further in support of this theory was that the tent, when examined more closely, looked to have been set up incorrectly. Bearing in mind the hikers were very experienced it is unlikely to be them who had erected the tent wrong, so prompting some to claim that the hikers had been killed accidentally elsewhere and then their bodies and “camp” moved to this area in order to “cover up” the mistake. There was also said to have been sightings of “glowing orbs” in the sky around that area during this time, and this could indeed indicate that these particular weapons were being tested. Those that subscribe to this train of thought claim that the external injuries, particularly on Dubinina, were the result of wild animals attacking the corpses. However the injuries were too precise for some, and the glowing orbs were not the result of any weapons testing. The glowing orbs, they said, were UFOs and it was they who were responsible for the hikers deaths. These people claim there are many UFO sightings in the area and that on this night a UFO terrified the hikers causing them to flee. The internal injuries were either caused by some unknown “pressure” or “sound” technology, or they were even simply "run into" by whatever they saw. Dubinina’s external injuries to her face and skin were said to have been the purposeful removal of tissues to be studied. Oh yes, and remember that tree with the branches broken off? This was claimed by some to have been evidence that something must have hovered above the hikers and so destroying the branches. That something was a UFO. Happier times before the tragic evening of 1st February 1959. Said to back this up were unconfirmed reports that the bodies contained high levels of radiation, something else that often accompanies UFO sightings and experiences. Further still years later, Yury Kuntsevich claimed he had attended five of the hiker’s funerals (he was 12 years old at the time) and claimed that their skin all had a “strange dark tan” to it. The official ruling is that all nine of the hikers died at the hands of a “natural force” in what was a terrible accident. For some though, as there often is with cases such as these, there is claimed to be an “air of secrecy” at how this was and still is handled, and these people also claim that there was obviously more going on that just Mother Nature. 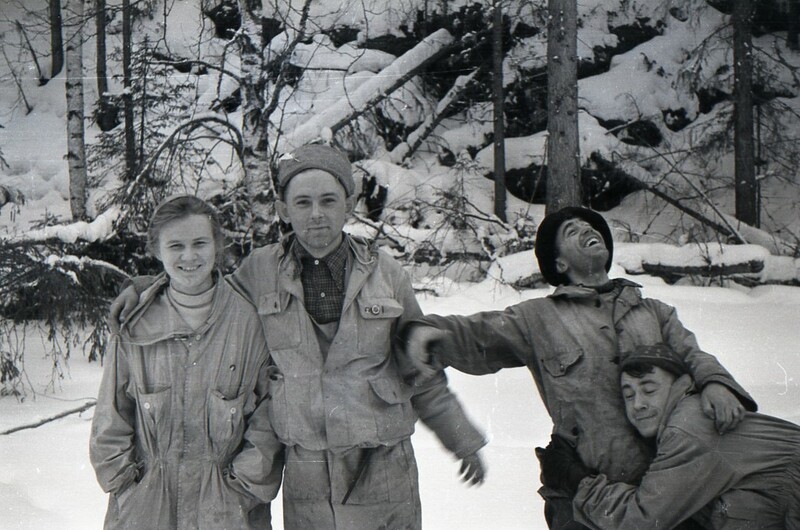 Below is a full list of the "Dyatlov Pass Team", and below that, there are several short documentaries, each offering their own take on one of the most mysterious events of the twentieth century. Larking around before the tragic trek. 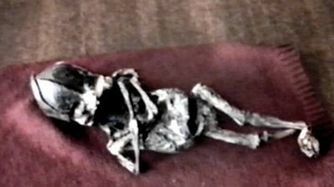 next article: Aleshenka - alien or human...? 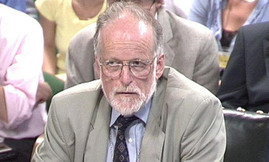 A look back at the facts and the theories surrounding the unfortunate death of David Kelly in 2003.